We are a small family run business with over 10 years experience. 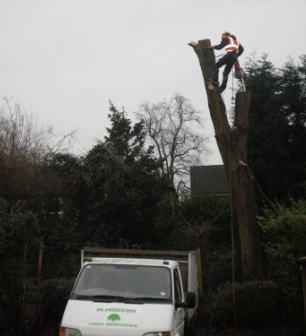 We undertake all aspects of tree surgery from small single trees, hedges and stump removal right through to large scale tree surgery, site clearance and hazardous trees. Based on the Walsall border we work all around the borough and surrounding areas and offer an emergency service 24/7 365 days a year. Our aim is to offer a clean tidy profesional service to all our customers. As we are a small business we can offer competitive rates as we want our customers to come back to us time and time again with confidence that any work should be carried out to the highest standard possible. 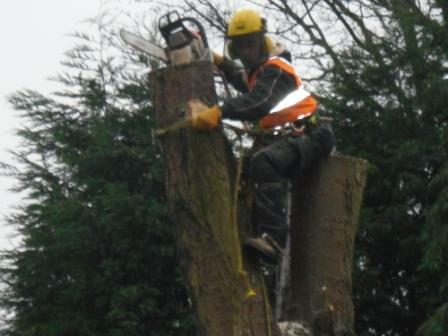 We take away and recycle all tree felling and pruning waste produced. All brashwood gets chipped and used as a fuel type or for garden purposes. All heavy timber goes on for firewood.